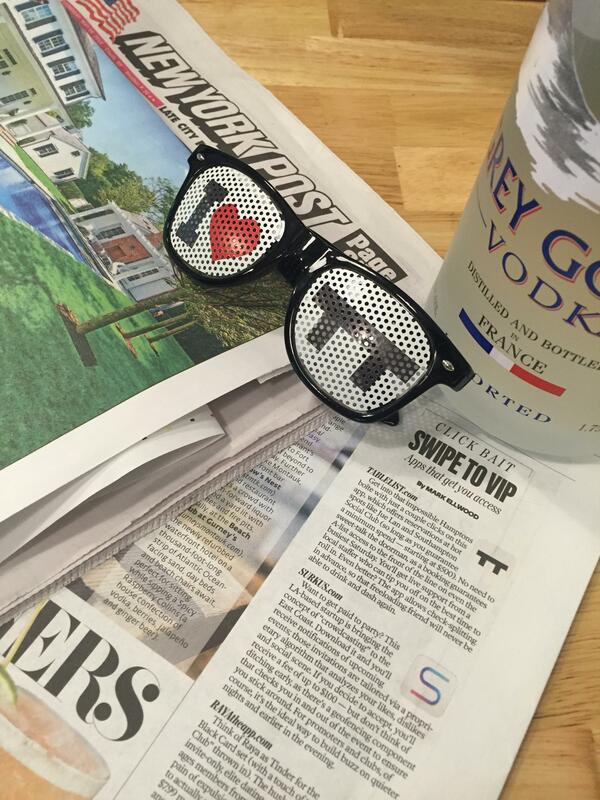 Just in time for summertime in the city and weekends spent out East in The Hamptons, Tablelist is proud to be featured in Wednesday May 18th’s New York Post. Get into that impossible Hamptons boîte with just a couple clicks on this app, which offers reservations at hot spots like Jue Lan and Southampton Social Club (so long as you guarantee a minimum spend — starting at $500). No need to sweet-talk the doorman, as a booking guarantees A-list access to the front of the line on even the busiest Saturday. You’ll get live support from a local staffer who can tip you off on the best time to roll in. Even better? The app allows check-splitting in advance, so that freeloading friend will never be able to drink and dash again. To get Tablelist, head to http://www.tablelist.com/download and use the code NYPOST on sign-up. Cheers to spending summertime in VIP!